Volkswagen and Protean Electric, an American company specialized in developing in-wheel electric motors, are teaming up to develop a rear wheel drive electric Volkswagen Bora. The in-wheel electric motors are claimed to produce 100 Hp each. Which means that with a pair of motors mounted inside the rear wheels, you get a RWD compact sedan producing a healthy 200 Hp. 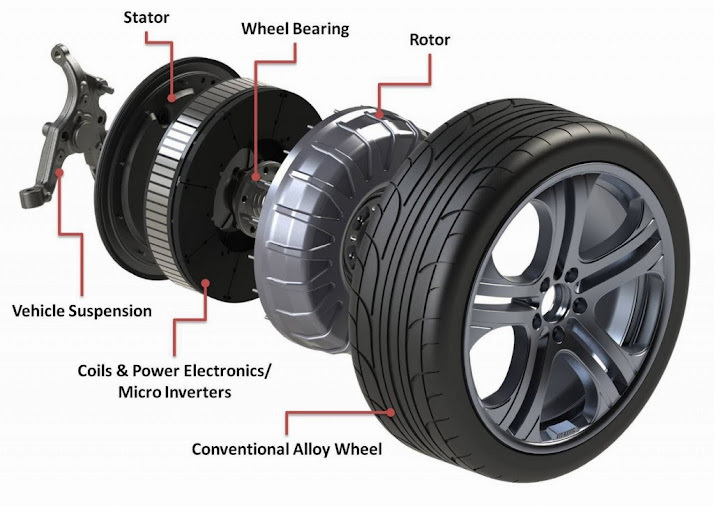 The best part is that, as explained in the diagram above, the power electronics (which are the electronic components needed to convert the Direct Current of the battery into a wave form suitable to drive the electric motors) are located inside the wheels too. Which leaves plenty of room and possibilities to store the battery and have a good weight repartition. The concept might be closer to reality than we think and the car could go into production as soon as 2014. Stay tuned for more information.